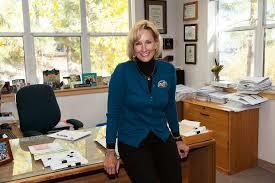 Home » News » Local News » Placer County has new Supervisor, Cindy Gustafson! By BStigers on April 12, 2019. Cindy Gustafson has been chosen by the Placer County Supervisors as the newest Supervisor, replacing Jennifer Montgomery who has joined the staff of Ca. Gov. Newsom. Cindy is from Tahoe City and serves as the Tahoe City Public Utility District’s General Manager. She will serve until January 1 2021. Voters will choose the position in the 2020 election.